Stephen Long'uriareng, 80, has walked two hours to bring her two cows and goats to this watering hole. It's really just a dam carved out the earth, where the rain water mixes with mud and turns into a dark brown color. This is not the place Long'uriareng remembers from her youth. "This whole place used to be green with a lot of pasture. There was nothing being experienced like drought," she said. In fact, nomadic herders have lived off the vast expanses of grass in the Rift Valley for centuries. For years, nothing much changed around here. All the progress of an industrialized Kenya has mostly skipped people here. Only about 3 percent have electricity and more than half the population is not formally educated. That means that to a lot of people here, herding is the only way they know how to survive. But recently, as the climate has changed, the grass here has died and a way of life that has existed for centuries is in danger. James Tukay stands just over the dam and points to the mountain range in the distance. He is only 45, but he has seen drought after drought. "I can't explain what is going on. I don't understand why the climate is changing," he said. He points to the dark clouds slung on top of the mountains. He can see the rain and he can feel it, he said, but it never falls here. "It's heartbreaking," he said. "But we have no option. We have nothing to do but survive." Caroline Mwongera, a scientist at the International Center for Tropical Agriculture in Nairobi, who specializes on how climate affects agriculture, studies northern Kenya. 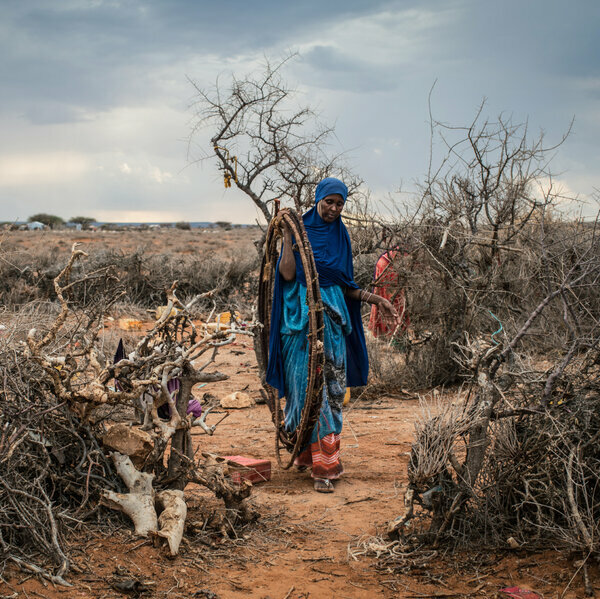 She has found that in the region, temperatures have risen by about half a degree centigrade, rainfall has decreased and there is now a drought once every three years. Mwongera said her analysis covers decades' worth of data. "So we see that this is a trend, that is not one single event," she said. "It's just not about the weather. It's really a climate change event." Mwongera said one of the reasons the effects of climate change are so visible around here is because this was a tough environment to begin with. "So if you compound the effects of climate change on that, then you have higher impact and people can feel that more strongly than in other regions," she said. 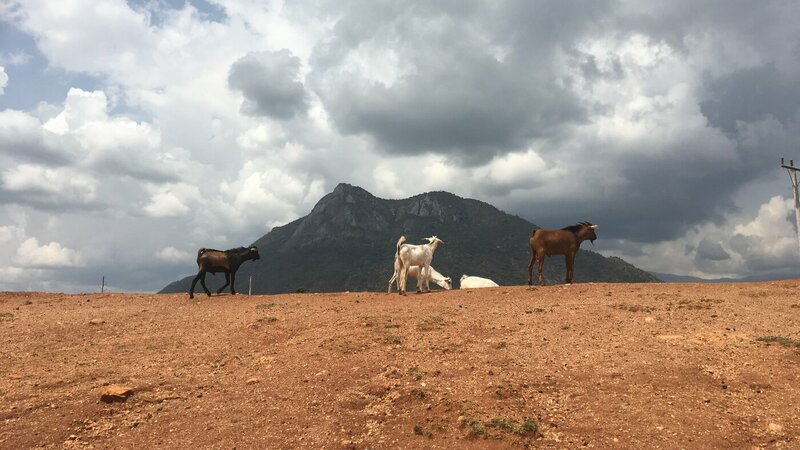 William Okira, the county's minister for agriculture and livestock, said people's reaction to climate change has also made the situation worse. The rise in temperature coincided with a time when herders had many animals. That led to overgrazing, which stressed the land further. And when the animals started to die of hunger, herders turned to cutting down trees to make and sell charcoal. Without trees, there was more erosion and thorny bushes began to grow instead of pasture. It meant the place turned from a typical African savanna into an arid brushland. 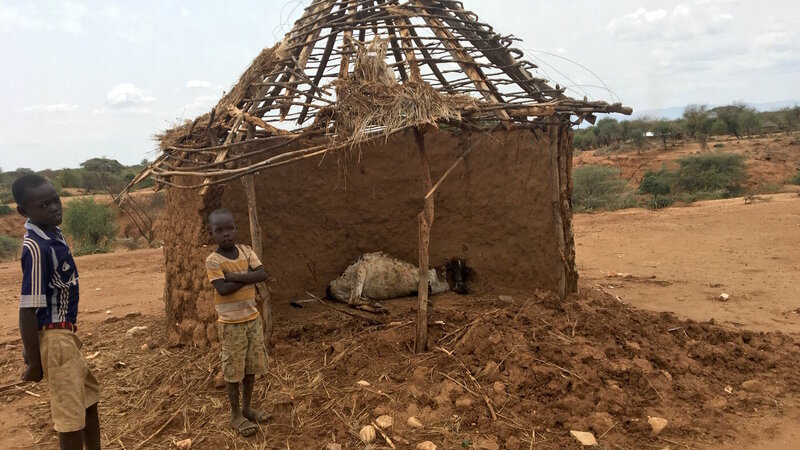 The bottom line, Okira said, is that traditional nomadic grazing, what people here have been doing for centuries, will not work anymore. "Now we are trying to see how we change this environment to able to sustain this livestock," he said. 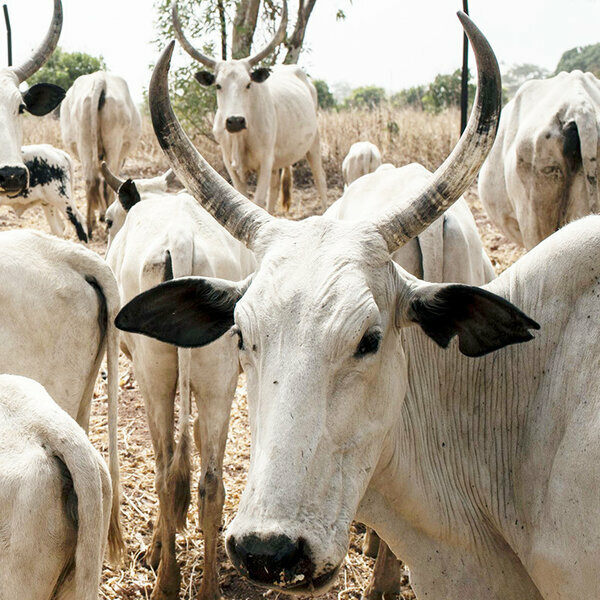 The government is starting programs to teach herders how to grow exotic pasture and how to keep a smaller number of cows alive using stored grain. They are also encouraging herders to shift to more resilient animals. "We are now telling them to go into camel keeping instead," Okira said. The change around here is very easy to see. At the top of the mountains, it's still green and fertile, but as you descend into the lowlands, the landscape changes. The ground turns bright red and the wind begins to whip up dust. 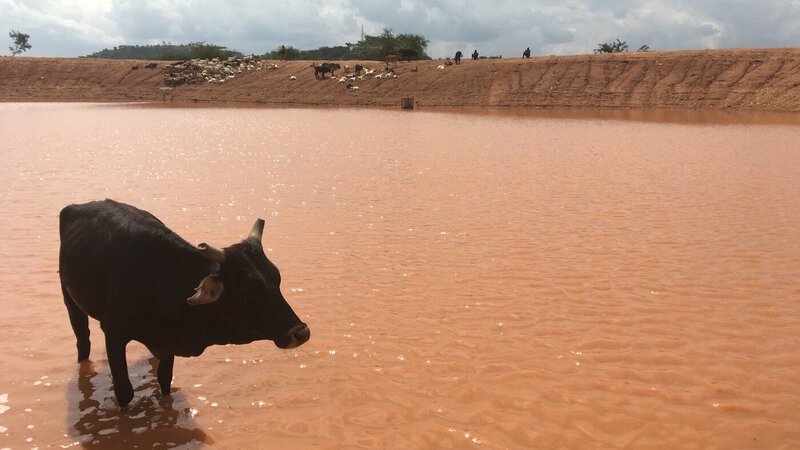 Deeper into the county, the only way herders are getting water is at wells dug hundreds of feet deep by the government or aid groups. Rael Korkapel had brought her animals to one of those wells. She has about five cows, but she herds mostly goats now, because they'll eat brush and leaves that the cows don't like or can't get to. 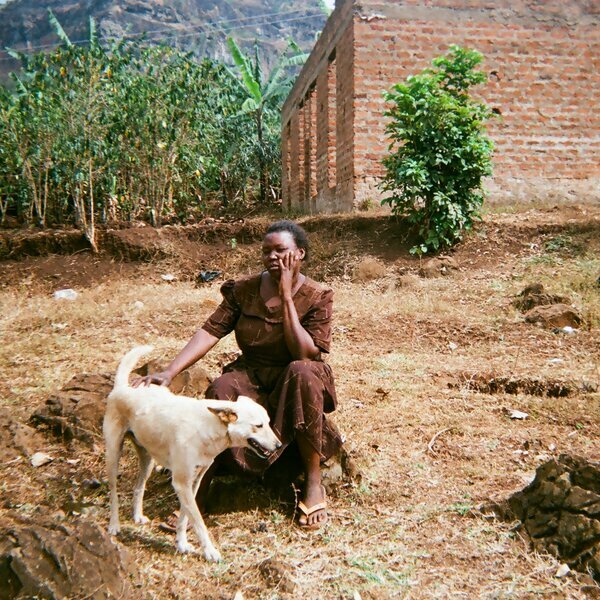 But as the drought has extended into yet another rainy season, she said, even her goats are going hungry. At 65, she said, she has never seen anything like this. She always thought her children and grandchildren would grow up herding. But now, she's ready to give it up. If she has to fence in her cows, she'll do it. If she has to turn to farming, she'll do it. To her, it's a matter of survival. Jane Lotulia is just across the way. Her cows have died and she's left only with goats that hardly produce milk. "We are not meteorologists or God, but we're sure that this place will remain completely dry, because the times have changed," she said. Her friend, Pauline Korkapel, said that if it wasn't for government food aid, she's not sure how they would survive. Pauline looks around. This place looks forsaken. She said she can't imagine that any kind of exotic grass will take here and she can't imagine becoming a farmer. "Many of us, we don't focus so much in business," Korkapel said. "We are only cattle keepers and we were born to be cattle keepers so we cannot change." As she talks, there is some commotion. Word has filtered down that another cow has died just along the way, so everyone starts walking along a dusty path, up a hill and across a ditch. They stop in front of a hut. The roof is gone and half of the mud wall is toppled. Inside lies the corpse of a rotting cow. Lotulia stares at the dead cow silently. This is a common occurrence, she said. The cows are so hungry that at night when nobody is watching, they feast on thatched roofs. The dry grass makes them sick and they find the cows dead and covered with flies the next day. "In a place like this, it's a tragedy," she said. "Because a cow like that means survival." Her friend, Pauline, sighs. She says if they keep living the same life they've been living, they might end up just like that cow.